As marketers, we understand that there are different kinds of content for different situations and audiences. While there’s plenty of overlap, here’s a breakdown of the types of content I can provide. No matter where your buyer is in their journey to purchase your product or services, you want to present the right content at the right time. I’ll work with your existing content map or help you identify the types of content that your target audience needs during the awareness, consideration, and decision phases of their journey. 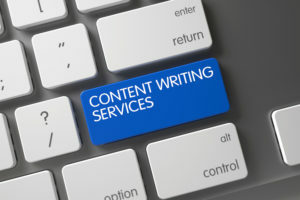 Journal articles, blog posts, white papers – all are great examples of the types of content that build trust and credibility by demonstrating expertise. Many organizations have visionary leaders but not all visionary leaders have the time to blog or Tweet. I’ll work with your subject matter experts and leaders to understand their “voices” and help them express their opinions and positions in writing. All marketers have the sales team as their clients. And all marketers know that the one thing sales wants is…case studies. What’s the hardest thing to write? Case studies. I’ll work with your internal teams and clients to write compelling case studies that showcase your successes and innovative solutions. I can also create sales guides, FAQs, presentations and other tools that are properly written and consistent with your brand.